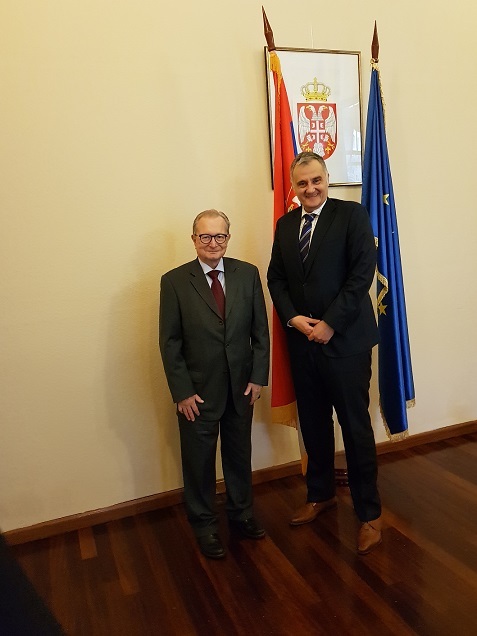 Ambassador of the Republic of Serbia to The Hague Mr. P. Vico received in a courtesy visit the President of the Mechanism for International Criminal Tribunals C. Agius, who took office in January 2019. In the course of the discussion, issues related to future priorities, the announced changes in the work of the Mechanism, as well as the cooperation of the Republic of Serbia with the Mechanism were discussed. In the light of current events, the issues of particular interest for the Republic of Serbia, both in terms of the work of the Mechanism, as well as related developments in the field of international justice, have been raised.